This interesting cinema opened on 2nd June 1933 as the Odeon and the first film screened was “Letting In The Sunshine” starring Albert Burdon. Built for and operated by Oscar Deutsch’s Odeon Theatres Ltd. The Odeon was a converted bus garage and originally seated 541 in stadium style on one floor. Apparently this was the second circuit Odeon cinema, which is interesting as most of the subsequent Odeon’s were purpose built and renowned for their lavish architectural design. The site in Gloucester Street, Weymouth was a modest affair in comparison, but when it opened there were extensive painted rural Dorset scenes in the mural decorations on the auditorium walls, decorated by Allied Guilds designer John Jackson. These, together with painted stonework on the lower sections of the walls and the rear wall, representing the end of a Tudor style house, with the projection portholes shaped like windows, gave a semi-Atmospheric style to the auditorium. The murals were painted over in around 1939. 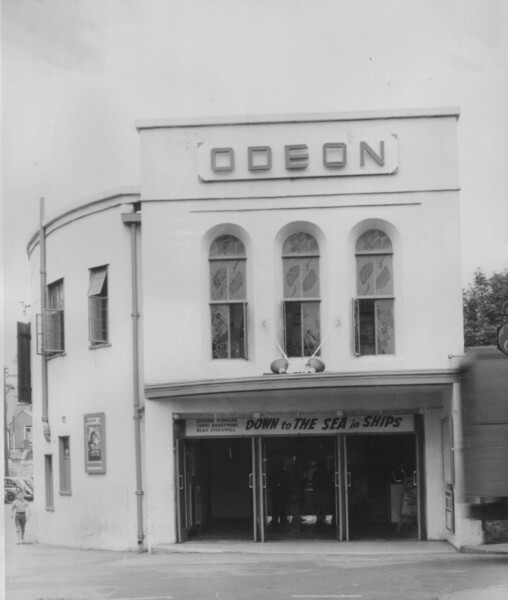 On 10th December 1967, the Odeon became the Classic Cinema before changing hands yet again when it became part of the Cannon Group and was re-named Cannon. On 14th January 1994, the cinema became part of Peter Walker’s Picturedrome Theatres Ltd. and was renamed as the Picturedrome. By this stage the seating capacity had been reduced to 412 and the company made other improvements such as the installation of a Dolby sound system. The cinema continued as part of the Picturedrome chain until its closure on 31st October 1999, which was due to the opening of the ten-screen Cineworld multiplex cinema in New Bond Street. The Picturedrome was then used as a childrens play area, then it stood derelict and unused for some years. In around 2004, it was demolished, apart from the south facing wall, and by March 2005, flats had been built on the site. Cool name for a cinema. As a kid growing up in the 1980s, this cinema set me on the path to a lifelong love of movies. This is the place where I saw the blockbuster films of the decade such as ET, Gremlins, Flight Of The Navigator, Stand By Me, Back To The Future, The Goonies, The Karate Kid and Batman to name but a few…. It’s nearly 20 years since I last saw a film there, but the memories are still very vivid and it will always remind me of great days as a youngster watching some excellent movies. I have fond memories of the “Classic” in Weymouth between 1966 and 1968 during which time I gorged myself on classic horror movies. 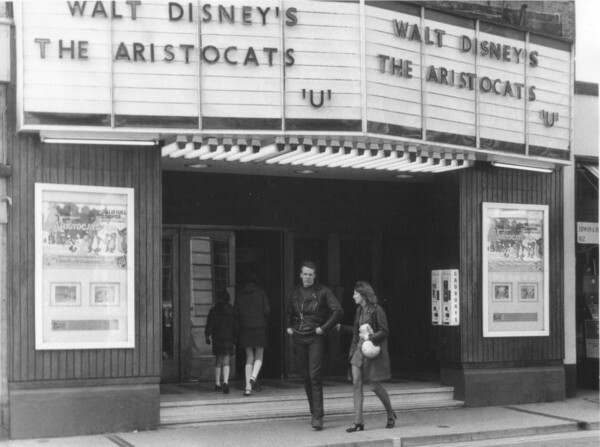 The Odeon in the main street always had the latest big releases leaving the Classic booking lesser films. But the inventive manager there would make up for that by occassionally having a week long programme of cheap horror movies, a different double bill each day! Oh joy! Friday nights at 10.30/11pm was usually “horror night” with Roger Corman/Poe classics or Universal classics such as “House of Frankenstein” – all rather grainy, scratched and with the occassional jump or bump. No digital in those days! Another cinema on Portland, a bus ride away, showed similar fare. As a young teenager I got to know the manager and would beg posters or film stills. He even booked one or two of my suggestions. Barbara Steele in “Black Sunday” was one, just then made available to the UK. The Classic could be relied upon for excellent movies of the time including “2001” and “Barbarella”! 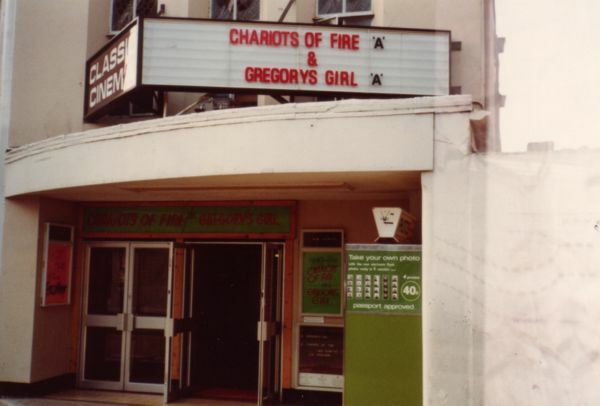 I’m looking for Cannon/Classic photos of this cinema and a more detailed history of its time under these chains, or if anyone knows where I can find any of the above, please let me know, Thanks so much!